Obituary for Robert Eugene Loepsinger Jr.
Robert E. (Bobby) Loepsinger Jr., age 71, passed away Monday, November 12, 2018 at Rahway Hospital in Rahway, NJ. He was born April 1, 1947, in Newark, NJ to Robert Sr. and Francis (Metzger) Loepsinger. Bobby was a 1965 graduate of Westfield High School. He worked as a technician for Prudential for 25 years and continued his career at HHH Machine Company until his retirement. Bobby truly lived life to the fullest through simple pleasures; spending time with family and friends, and most of all his beloved dogs. He was also an avid golfer and a lover of sports cars. He was a kind and gentle person giving himself to others. He was the beloved brother of the late John W. Loepsinger and was an attentive and sweet Uncle to his remaining nephews Christopher Debbie and Jeffrey Debbie of NJ and Robert Romak and John Loepsinger of AZ and to many great nieces and nephews. Family, friends and others whose lives Bobby touched are invited to the Dooley Funeral Home, 556 Westfield Ave, Westfield, NJ from 3 p.m.-6 p.m. on Saturday, November 17th, 2018, to reminisce, grieve and support each other. In lieu of Flowers, memorial donations can be made to St. Jude’s Research Hospital at www.stjude.org and/or to Crossed Paws Rescue a Non-Profit Animal Rescue at www.crossedpawsrescue.com. 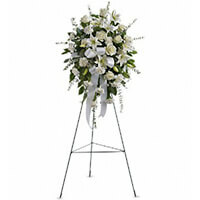 To send flowers to the family of Robert Eugene Loepsinger Jr., please visit our Heartfelt Sympathies Store. Uncle Bob, we wish your Great Niece and Nephew could have had to opportunity to meet you in person. With so many words left unsaid all that is left is a heartfelt wish that you find peace and comfort. Uncle Bob, rest in peace. You will be greatly missed and fondly remembered. The Clark Lunch Box Crew will miss Bob and I will miss seeing him in the morning on my way to work he always had a nice memory to share from his earlier days he was a kind man. so sorry for your loss.